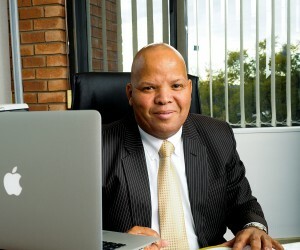 With a huge shortage of black skilled professionals in the energy and water sector, EWSETA’s new CEO, Errol Gradwell, has is eyes set on taking the organisation to the level of being a “world-class authority”. With the recent announcements by president Jacob Zuma that South Africa will continue moving ahead with plans to bring in nuclear power, the urgency for skilled professionals taking the reins in the water and energy sector becomes more apparent. 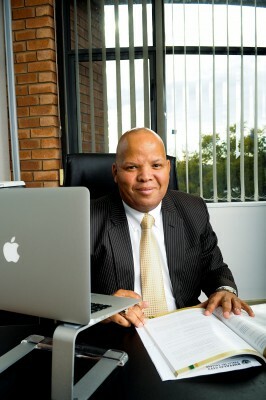 The Energy and Water Sector Education and Training Authority (EWSETA) now celebrates its most recent addition, its Cape Town office, as newly appointed CEO Errol Gradwell steps in to takes the lead and fulfil the institution’s mandate of becoming a world-class authority in the sector. Achiever was afforded the opportunity to speak to him at the official EWSETA Western Cape launch at Crystal Towers, Century City. Displaying a slightly studious, yet witty demeanour, Gradwell tells us that his younger days was spent in the Eastern Cape where he attended school. “I grew up in the Eastern Cape and they say all the wise men came from the East remember. Went to school in Graaffreinet and East London and went to the University of the Western Cape (UWC) here to do my undergraduate work. I started my career in Cape Town and then a moved on to living and studying in the United States where I did a Masters degree in Counselling Psychology. “I came back to South Africa in 1993 and finished a Masters in Political Economy as well from NMNU?? And that is my career in short. I have been a teacher and educator by career and profession and I have been through the ranks. I have also done some work with Stellenbosch University and UWC. I have been with EWSETA now for over two years,” he says. When elaborating on some of the challenges currently faced in the Water and Energy sector, Gradwell highlights a growing need for technicians and artisans. He also points out that ailing infrastructure in our municipalities continues to be a problem. One of the major challenges he uses to demonstrate this is the lack of proper training and advanced technology in the water sector. “We have just identified through a study by the University of Stellenbosch that out of 550 owned private and public FET colleges, 510 of them does not have qualifications in water. So we have about 10 colleges, public FET colleges, now TEFT colleges, that have qualifications. It tells you that the scope and the space for opportunities to further your career in that space is quite limited. So we are embarking on projects for example where we upskill at FET colleges in order to have a much better pool of student that can pull through. “Then infrastructure. There is ailing infrastructure in most municipalities in our country. I think we are looking at quite a substantial amount of money that needs to be put it, running into the billions, to build that ailing infrastructure up,” he says. The discourse surrounding the lack of proper science and mathematics skills that is evident across the board in the country is one that Gradwell approaches with a tempered stance, vouching for advancement of subjects such as mathematics where it is appropriate. He also readily acknowledges the “bold” work that according to him, the basic education department has already done. “I think that the bold step by the basic education department from I think about six or seven years ago was to ensure that mathematics and maths literacy becomes a compulsory subject throughout the schooling system. It was very robust and immensely rigorous. “Looking back it was very ambitious. Prior to that, you sometimes had a learner leaving the schooling system that last had maths at primary school, at a very root level. Now we have a schooling system where every single student that leaves, whether it is at grade nine or twelve, that has been exposed to mathematics. And that for me was a very brave and bold step that they implemented at the time,” he says. Gradwell stresses the importance of appropriate counselling and career guidance at a young age to ensure that young people make relevant decisions regarding their subject choices for further studies. He mentions that this issue has been sharply raised with a former minister of education, back when the department of education was still in its unitary form. “One of the issues we raised very sharply with one of the former ministers of education before we had the two departments, higher education and basic education. That was regarding the notion that life orientation took over the space that we had for guidance and counselling. Guidance and counselling was very sharply focussed on career guidance and at some point we slipped, but then we brought it back into the system again. That caused us to have the kind of gap we are seeing,” he says. The launching of the Cape Town regional office also has strategic benefits for regional stakeholders. Gradwell says that when it comes to making their presence felt across the country, EWSETA has a clear mandate from the Minister of Higher Education and Training and it is one that they are responding to through a regional strategy, not only in the Western Cape, but also in other provinces where projects are currently underway. Key to this regional strategy is the need to build a national workforce that is skilled and competent to deliver sustainability in the energy and water sectors he says. “This first office will decentralise the SETA’s activities and provide an accessible platform for its member companies to participate in skills development initiatives and enable them to engage with the SETA on a one-on-one basis regarding their respective industries. Our intension is to open similar offices in other provinces, in line with DHET’s goal that SETA’s presence must be felt even in the deep rural areas. These regional offices will help us tap into and support these remote areas and communities,” Gradwell says. When asked about the importance of learnerships and internships and its link to sustainable job creation, Gradwell says that the culture of collaboration between industry and institutions of learning has not been well established in South Africa. He makes reference to a Singaporean model here where there is direct involvement from industry, going as far as working together with learning institutions to develop curriculums and pass rates. “In Germany again, training takes place almost concomitant to being on the shop floor. So it is a balance between learning in the classroom, and the exposure in the shopfloor. It is something that has been very well developed in some of our nations, but it is something in our country that we have not been doing well. “You know South Africa is the only country that pays companies to train. When looking at our guys that get mandatory grants, that is really government saying we are paying you to do some training. Yet you still have industry’s side not to really opening up the doors. We are saying come and sit with us, we are designing the training, let the training take place from day one between yourselves as industry and ourselves. Make inroads in terms of that. But it is still a long way to go,” he says. EWSETA is also now collaborating with experts from around the world and international partnerships with countries such as Russia, France and Spain are already on the table. Gradwell says that in terms of international partnerships, foreign policy is determined by domestic needs. Our domestic policy in terms of the resource plan that is to be integrated over the next 30 years, includes nuclear according to him. “We are now talking to Russia and countries that have been in this space before. We have a lot to build on since we now also have an integrated resource plan that can assist us in terms of renewable energy, electricity, oil and gas and obviously nuclear. You cannot be caught napping in the end like we did with nuclear energy where the action takes place then and we said we do not have the skills,” he says. He further highlights the importance of preparing our colleges and universities so we can provide the human resources needed. “We need to be proactive. We will work with Russia, we will work with the United Kingdom, we will do France and others that are really deep into the nuclear space and that makes substantial use of nuclear energy sources. Go and learn how they train, how they interface with industry. It is about the knowledge that you have. It is knowledge transfer, it is technology exchange, it is academic know-how from that side that you bring in and that we share.”.